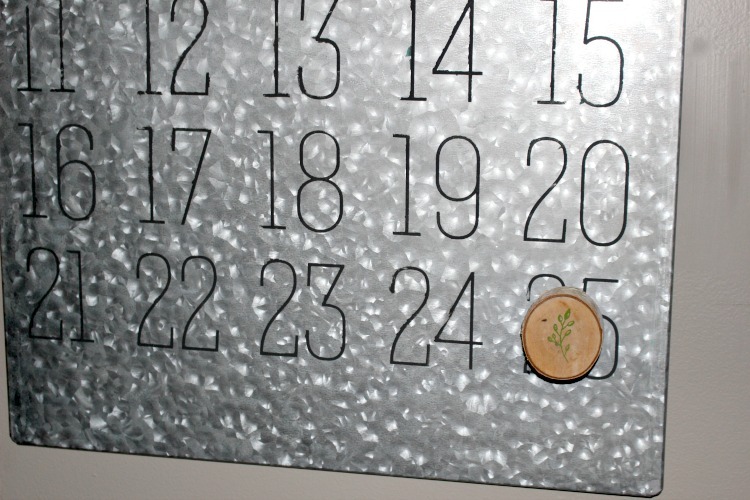 Make A Fun Magnetic Christmas Countdown Calendar that the kids will love using just a few supplies. 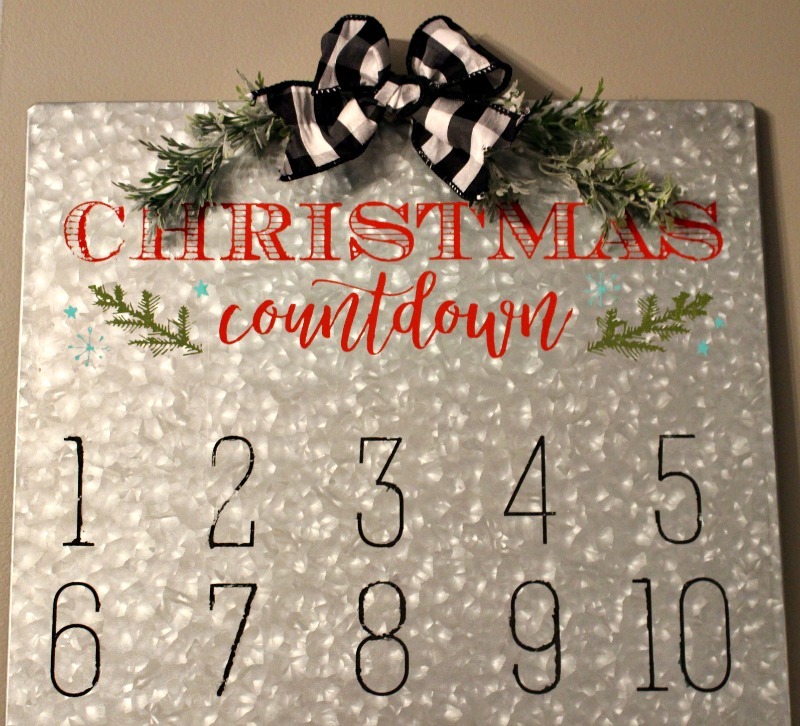 Place the Christmas Countdown Transfer onto the metal board ensuring it is evenly placed. Choose the colors you would like to use. 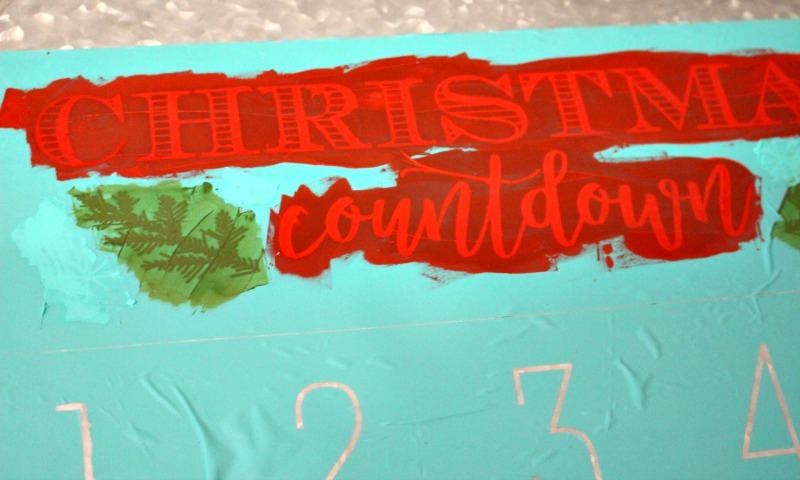 I chose classic red and green for the main Christmas Countdown text and pine images. For the numbers, I went with a solid black, to ensure that they would show up on the metal board. 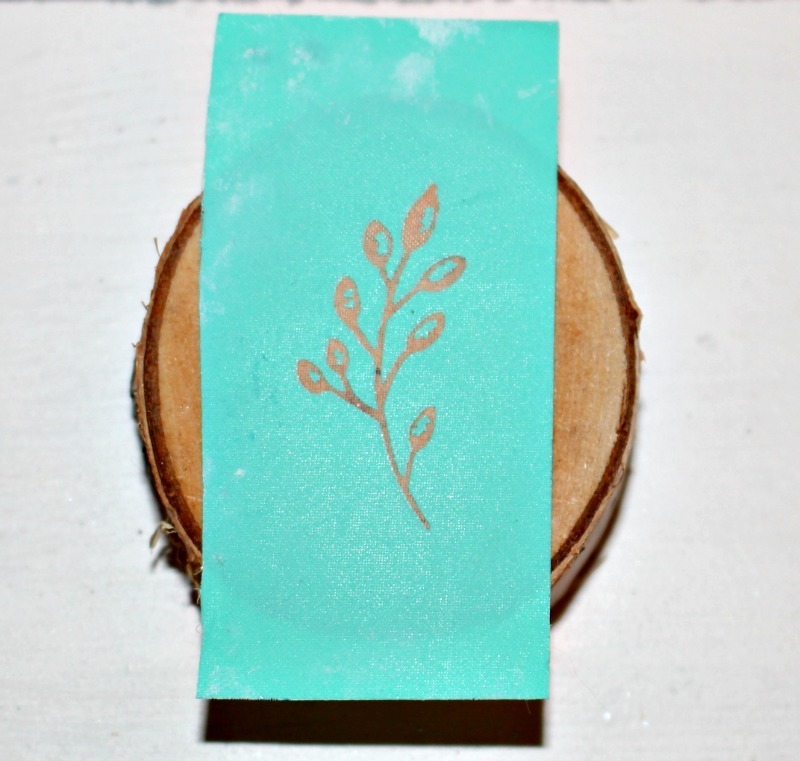 For the piece to use for the countdown, I had a small wood slice that I added a little pine image to. As the board is magnetic, I hot glued a magnet to the back of it. 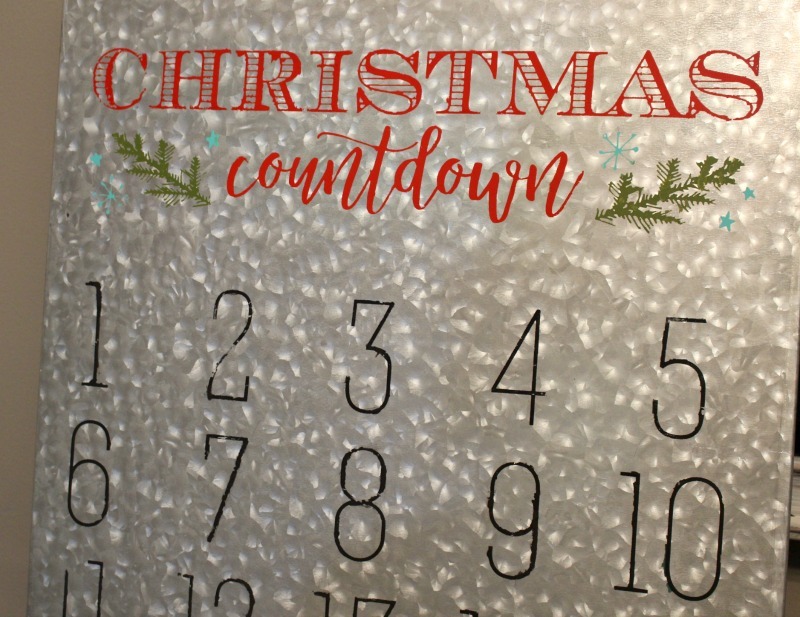 It’s the perfect size to countdown the days until Christmas! To finish it off, I hot glued greens and a buffalo plaid bow to the top. 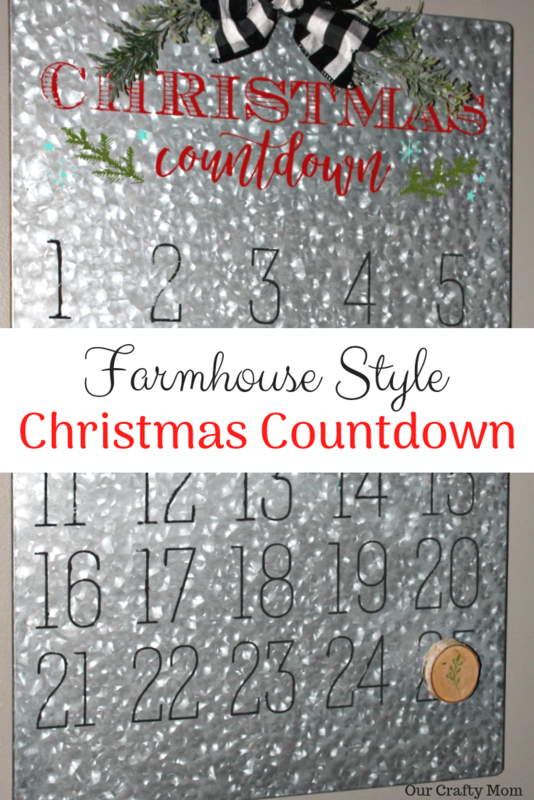 The metal board along with the buffalo check ribbon gives it a farmhouse look that goes perfectly in my newly updated kitchen that you can see here. 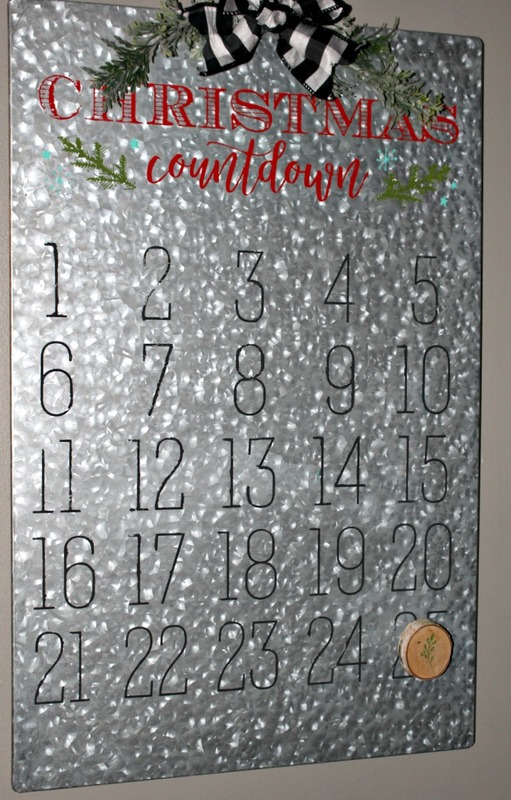 I hung this cute calendar in my entry and my daughter counts down the days when she gets home from work, because even 22 yo’s get excited for Christmas! I hope you will visit the other bloggers participating below. 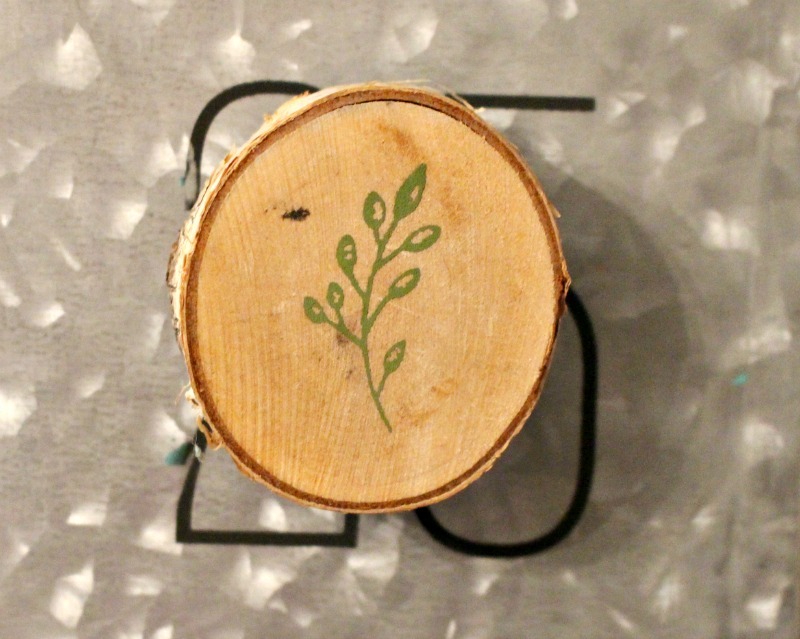 Very pretty & I love the wood slice to move each day. Love it Michelle, it turned out fantastic! I absolutely LOVE this! Nice work! I love it! 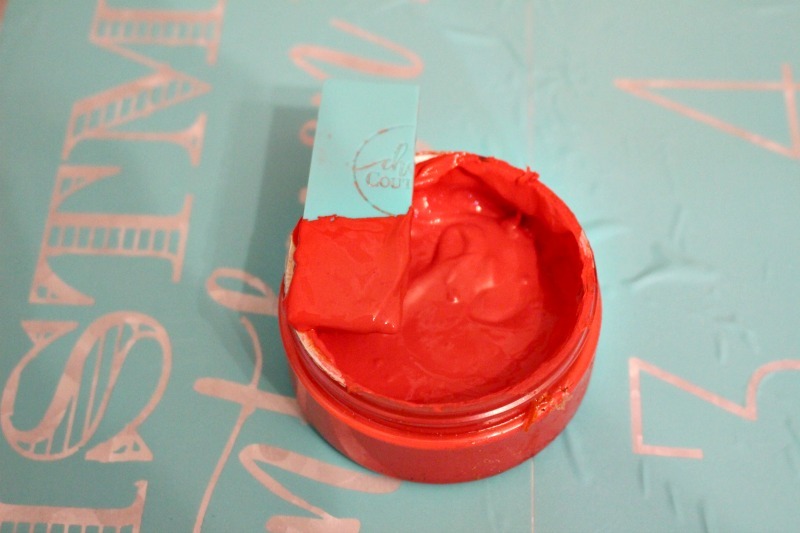 I have been planning to try out Chalk Couture. Maybe this is the project to try it on! 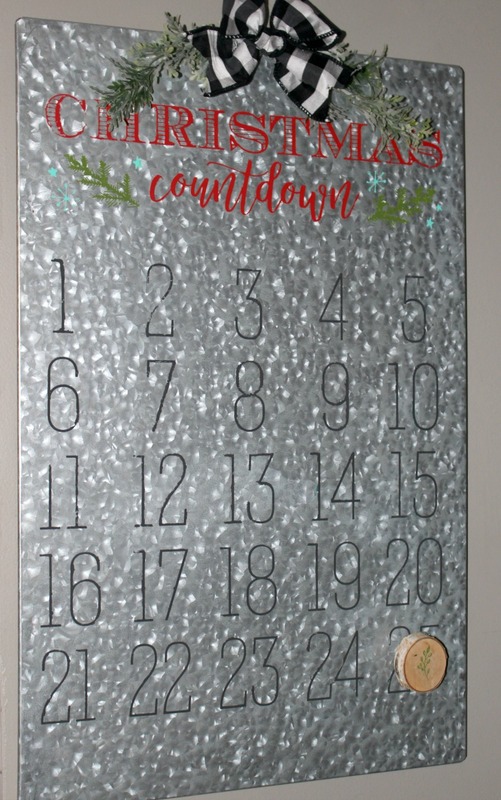 I love that you used a magnetic memo board to make your countdown calendar!